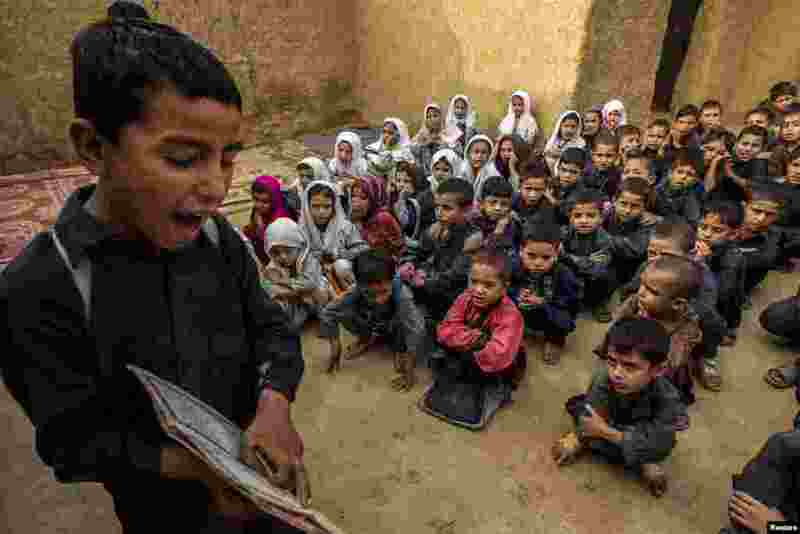 ۱ A boy recites from a book during a lesson at a school in a slum on the outskirts of Islamabad, Pakistan. 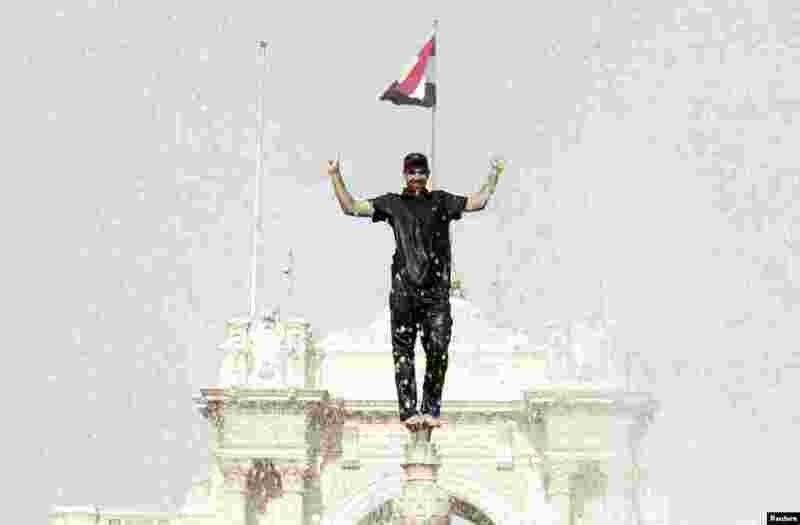 ۲ A protester stands atop a fountain in front of Qubba Palace in Cairo, Egypt. Thousands of ousted Islamist President Mohamed Morsi's supporters protested in the capital Cairo, the second biggest city of Alexandria and other coastal and Nile Delta towns, security sources said. 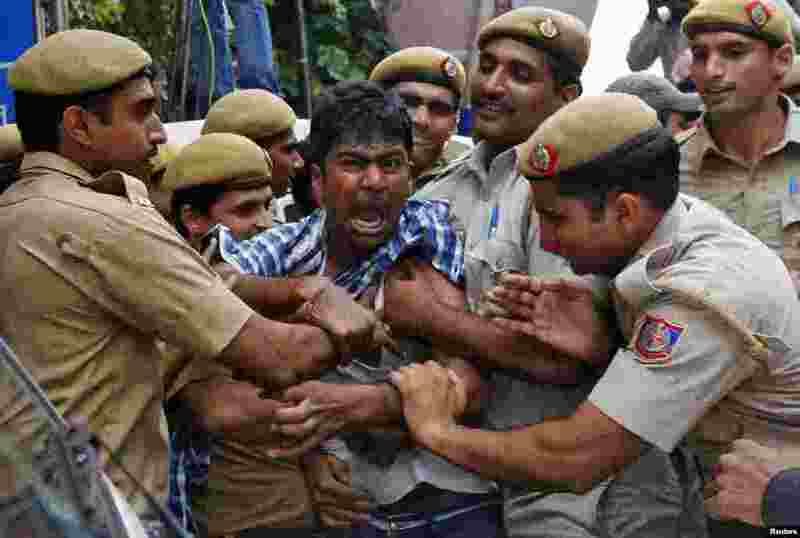 ۳ Police detain a supporter of Chandrababu Naidu, chief of Telugu Desam Party (TDP), a regional party, as he tries to stop a vehicle from carrying Naidu to a hospital in New Delhi, India. Naidu was on an indefinite hunger strike since Oct. 7, 2013, against the creation of Telangana state, according to local media. ۴ A Christie's worker poses with artist Kader Attia's artwork "Ghost", as part of "Thinking Big" auction on display in London. ۵ Men dressed as Superman (L) and Captain America smile at patient Caue Rodrigues Silvano, 7, who looks on inside Hospital Infantil Sabara in Sao Paulo, Brazil. 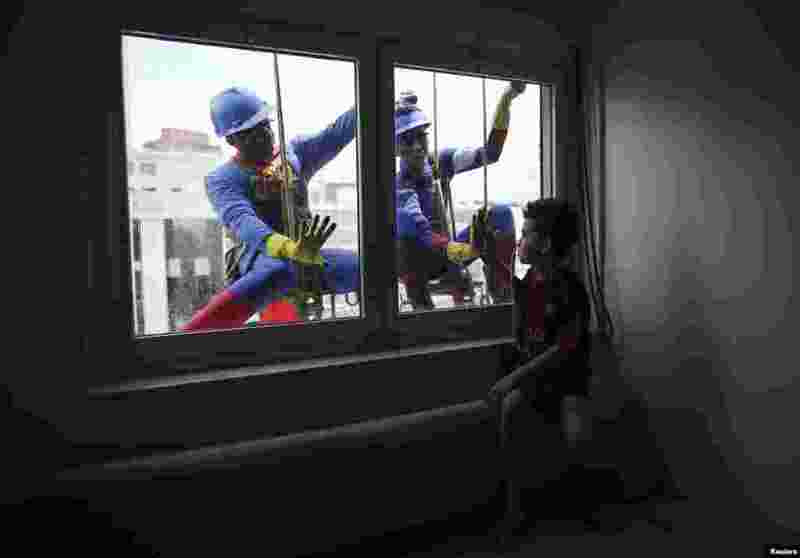 The costumed men cleaned the glass facade of the children's hospital, and met with patients. 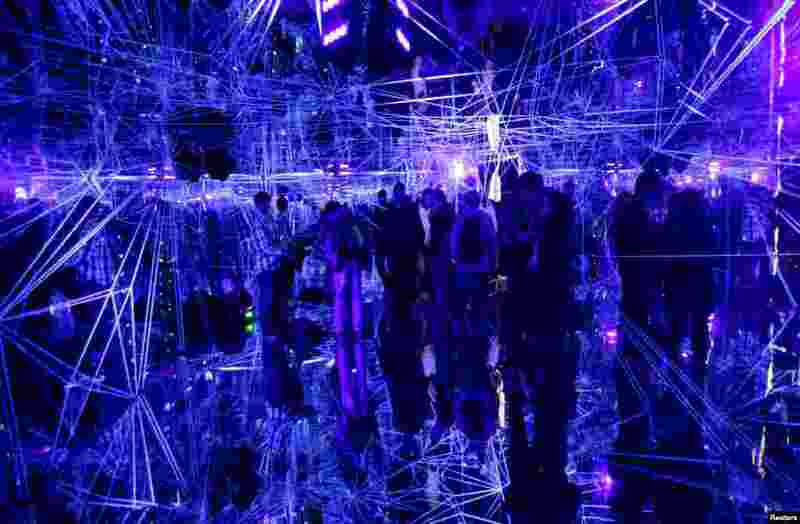 ۶ Visitors are reflected in mirrors inside an installation at the contemporary design festival Designblok 2013 in Prague, Czech Republic. 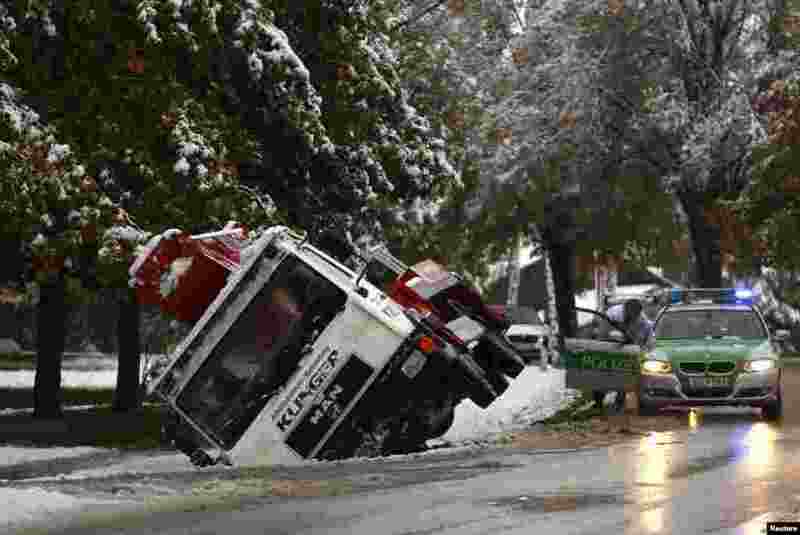 ۷ A toppled truck lies in a ditch in front of a police car in Murnau after heavy snow fall in southern Germany. ۸ Artist Leandro Granato cries out paint onto a canvas at his studio in the Alejandro Korn town in greater Buenos Aires, Argentina, Oct. 10, 2013. 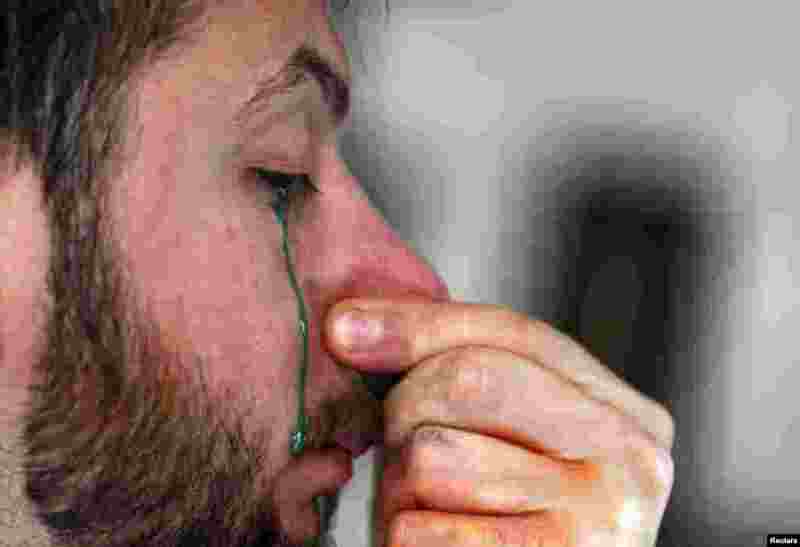 Granato paints using a unique technique that consists of taking in the paint through his nose and squirting it out through his eyes onto a canvas.